I’ve been married 3 years to my wife, Merissa, and we recently moved to South Portland. I have 3 sisters, grew up in Brunswick, Maine, went to Brunswick High School and then attended Bowdoin College. 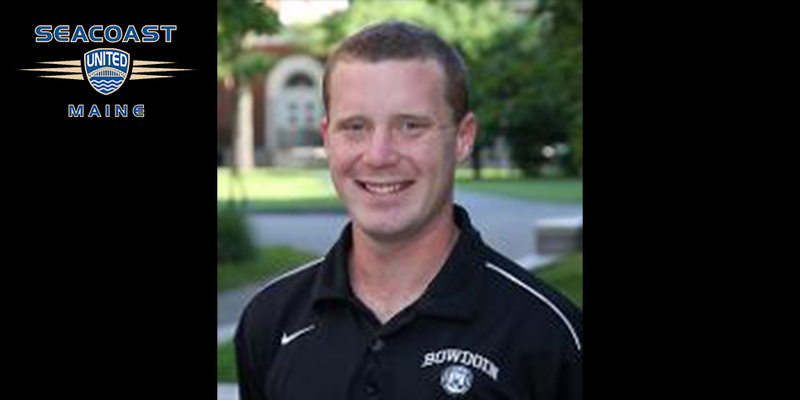 I played soccer for 4 years at Bowdoin and currently work at Bowdoin as the Men’s Assistant Soccer Coach. I enjoy spending time with my family and friends, doing almost anything outside, and doing community service or volunteering. I started playing for Coastal SC (which would later become Seacoast United Maine) at age 9 and played for Coastal through middle school and high school. I played at Brunswick High School, then for 4 years at Bowdoin College. After I graduated, I coached at Portland High School and then returned to Bowdoin to be the assistant soccer coach for the men’s team. 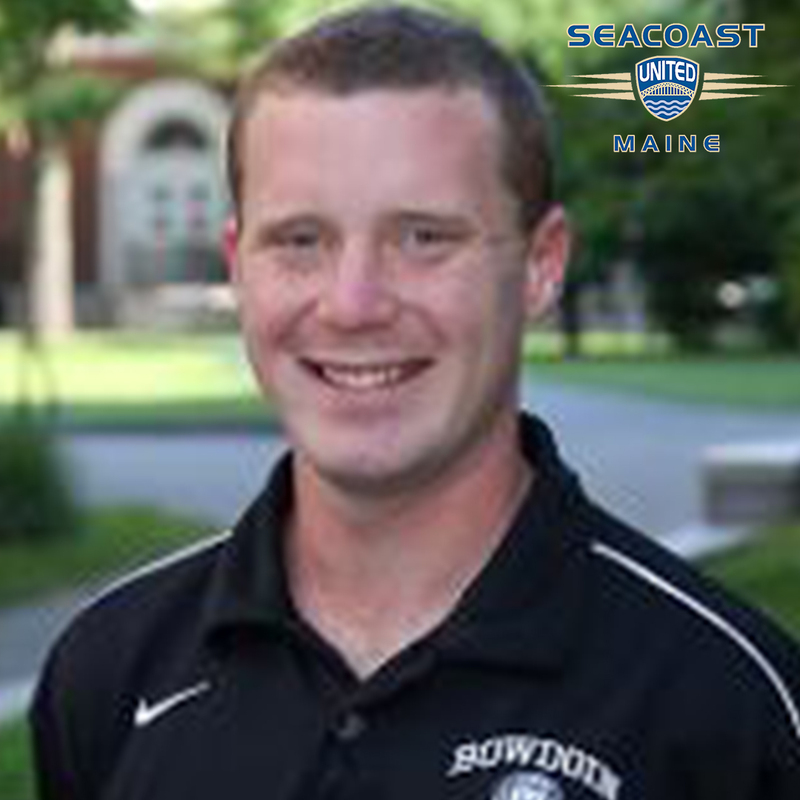 While coaching at Bowdoin I also started coaching for Seacoast and have coached boys’ teams of all ages for Seacoast, from U-12s to U-18, and the NPSL Team. I started coaching because I love the game, I love being part of a team, and I love teaching and helping young people learn and grow, both on the field and off the field. Seeing players improve and develop, sharing what I’ve learned and being part of their learning process is something that is very meaningful to me. I also enjoy and value being part of a team, working with others towards common goals and knowing that I am part of something that is bigger than any one person. The club I grew up playing for, Coastal SC, was one of the clubs that merged into Seacoast United Maine and when that transition happened, many of the coaches who I knew growing up playing for Coastal began coaching for Seacoast United Maine. Since playing for Coastal was such a positive experience for me and played a huge role in my development as a player, when I decided I wanted to coach club soccer, I wanted to coach for Seacoast United Maine because I knew within the club there were good people who cared about developing players and creating a positive soccer experience. I’ve been very lucky to have played for and worked with some incredible coaches in my playing and coaching career and I can’t name just one. From a soccer standpoint, the two coaches I’ve worked with at Bowdoin, Fran O’Leary and Scott Wiercinski, have had the most influence on my career. Fran and Scott are different in many ways, but they are similar in that both are incredible teachers, possess tremendous knowledge of the game, and have fantastic leadership skills. I’ve been very fortunate to learn from them and grow as a coach to develop my own coaching philosophy. Coaching is so rewarding and has given me so many great moments; it gives me goosebumps just thinking about them trying to answer this question… If I can only pick one memory, I’d pick our Bowdoin team winning the 2014 NESCAC championship, our first conference championship in program history. It was a special team and an amazing journey; a season that I’ll never forget. Our team chemistry, leadership and resiliency was incredible during the season and through the conference playoffs. David Beckham was my favorite player growing up. I remember watching him get a red card against Argentina in 1998 World Cup and the media and fans blaming him for England’s loss. Despite all the negative media, hatred from fans, and death threats he faced in the aftermath, he demonstrated tremendous mental toughness and never quit, he just kept working and didn’t allow the criticism derail his career. He went from the most hated player in England to national hero, captain for 2002 and 2006 World Cups, over 100 caps, helped Man U win the treble in 1999…I always admired how he responded to the adversity. Running, golfing, skiing, playing Spades or Bridge.